Looking for a full time job In the CPC field. Certified Medical Coding Specialist that has full understanding of ICD-10-CM and CPT coding procedures. Excellent data entry skills that allows for accurate coding of medical information and provided care. ➢	Strong understanding of ICD-10-CM and CPT requirements and procedures. 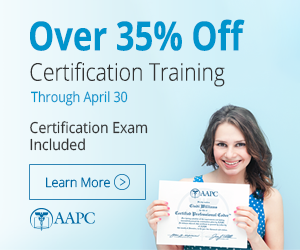 ➢	CPC certified with 1 year and 4 months of experience. •	Collecting patient data and performing various administrative duties throughout the healthcare field. •	Process next day orders and input medical codes for Medicare patients under medical necessity. •	Enter payment and insurance information, while keeping accurate record of patient interactions. •	Reception and clerical duties while working with other medical staff, doctors, nurses etc. •	Resolved difficult customer situations effectively while delivering friendly customer service and ensuring the highest level of customer satisfaction. •	Sold retail banking products and services to customers and prospects. Managed customer portfolios, services relationships and cross-sells all products and services. •	Demonstrated exceptional customer service and lauded by branch leadership. Received “Banker of the Month” 10 out of 12 months in the year 2016. •	Demonstrated ability to reply questions regarding student needs while maintaining excellent standards of customer service. •	Maintained office supply inventory by ensuring adequate stock level and replenished essential office needs. •	Received payments for student books and documented sales. •	Ensured meetings were effectively organized and maintained records for administration. •	Advised and understood sports transactions and reports. •	Analyzed financial data to cover the needs of the customer. •	Provided administrative support by handling incoming mail and e-mail inquiries. o	Received Academic All-Conference Award as a student athlete for years 2012 - 2015.
o	Answered telephones, and retrieved medical information from external and internal sources.